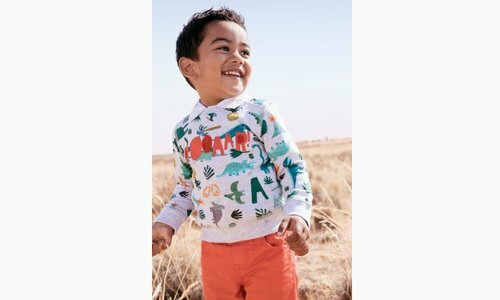 LONG JERSEY AND VELVET JUMPSUIT WITH CAT PATTERN | Catimini Canada - Kidz Global Apparel Ltd.
Full-length jumpsuit in ultra-soft double-sided tubular jersey with a velour skirt for little girls. 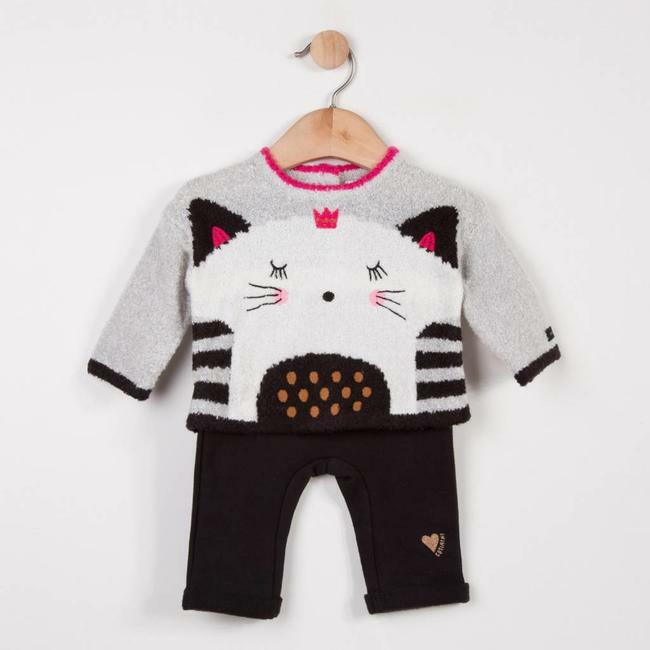 A charming and chic cuddly cat motif with 3D ears; highlighted with peony pink touches that contrast with the attached leggings in marl tubular knit print Read more..
Full-length jumpsuit in ultra-soft double-sided tubular jersey with a velour skirt for little girls. A charming and chic cuddly cat motif with 3D ears; highlighted with peony pink touches that contrast with the attached leggings in marl tubular knit printed with maxi polka dots. Round collar with peony pink ribbing. Back fastened by press studs for easy dressing. Attached frilly skirt in soft plain charcoal corduroy. Press stud fastening between the legs. Catimini Label. 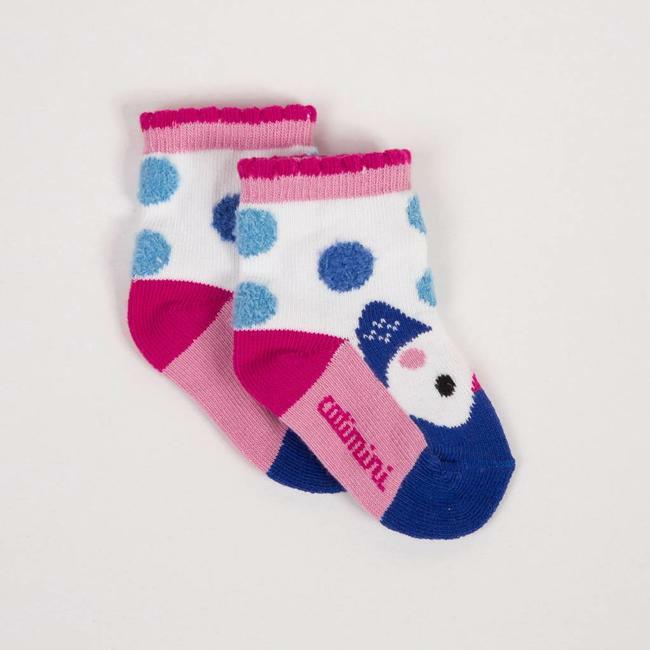 Jacquard socks for the little ones. Snow white stretch knit ..
A long-leg, soft and warm jumpsuit for the little ones: a tu..
A fancy knit set for the very little ones, where unicorns ha..
Soft and warm knit set for the little ones. 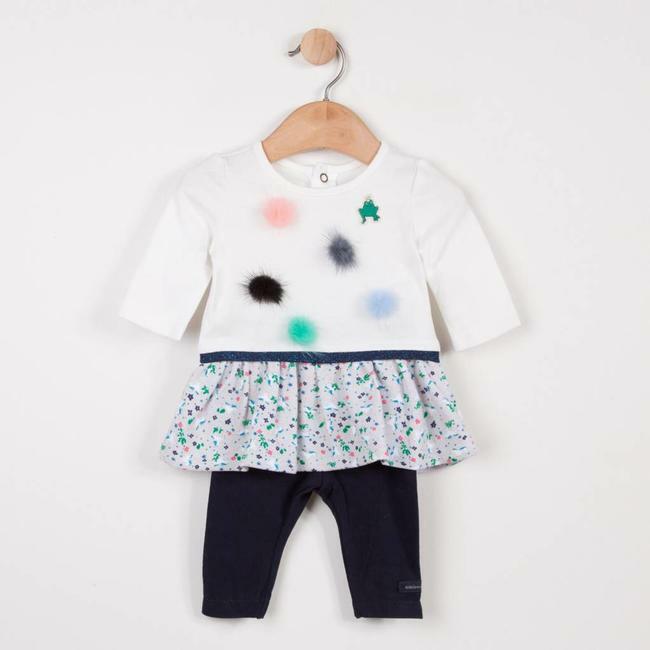 Sweater in ultra..
A beautifully comfortable fancy knit set for the little ones..
Cardigan in reversible double jersey: one side peony pink an..
A long, soft and warm jumpsuit for the very young: an emboss.. 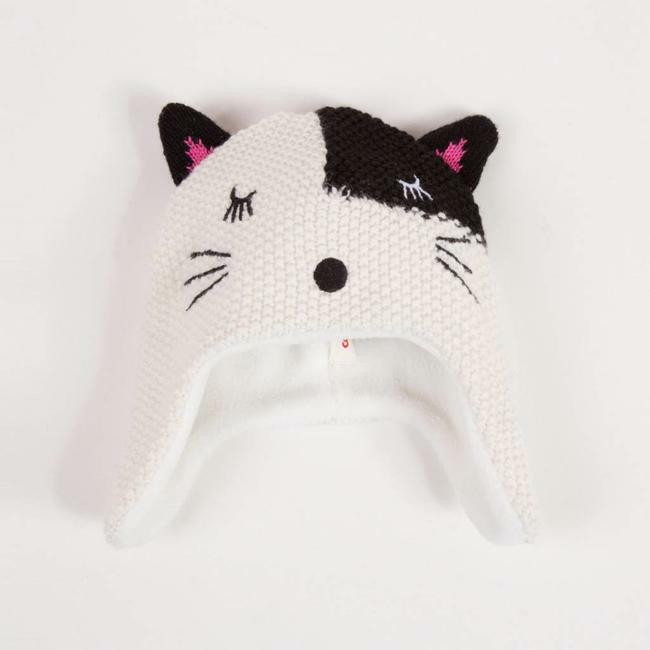 Warm knit fancy hat with a playful image of a cat's head, wi..